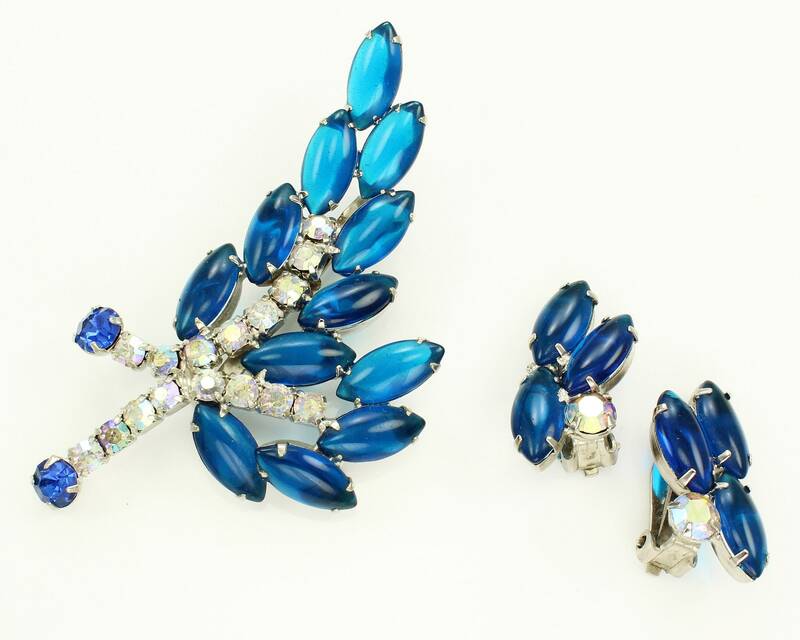 Vintage Capri and Royal Blue and Aurora Borealis Rhinestone Brooch and Earring Set. 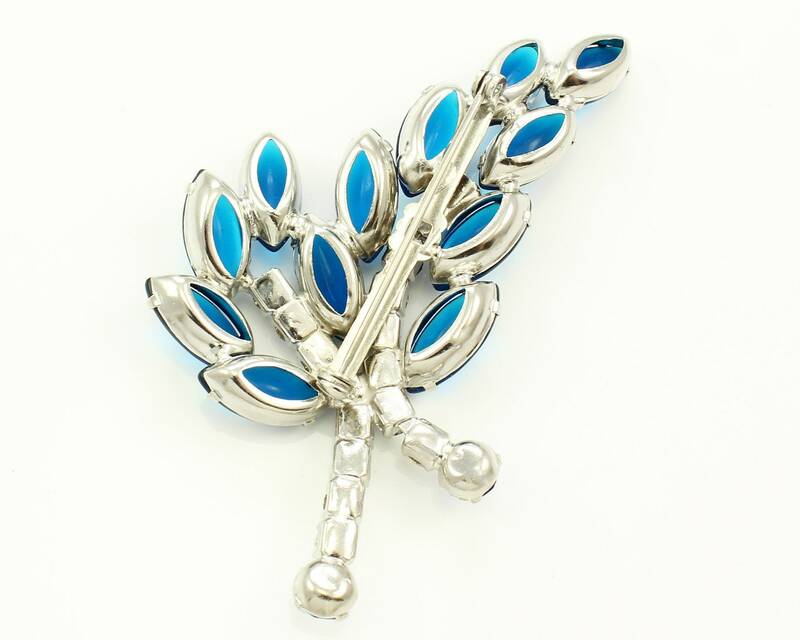 This elegant brooch features capri blue colored marquise glass cabochons, along with round aurora borealis and royal blue rhinestones. The marquise stones are all set with open backs and the brooch has a three dimensional design that allows glass to enter, showing off their brilliant color. 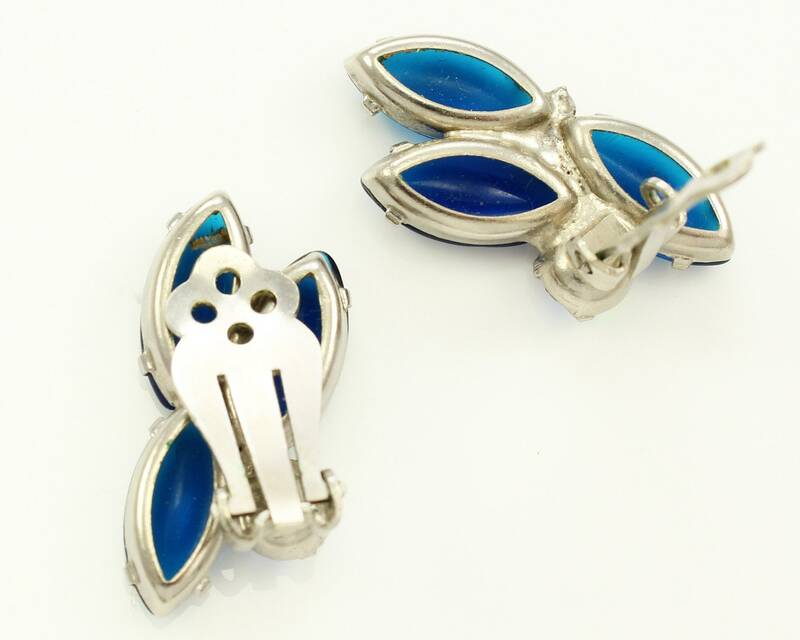 The matching clip on earrings feature the same stones. CONDITION: In overall excellent vintage condition. MEASUREMENTS: Brooch measures 3" long by 1 3/4" wide. 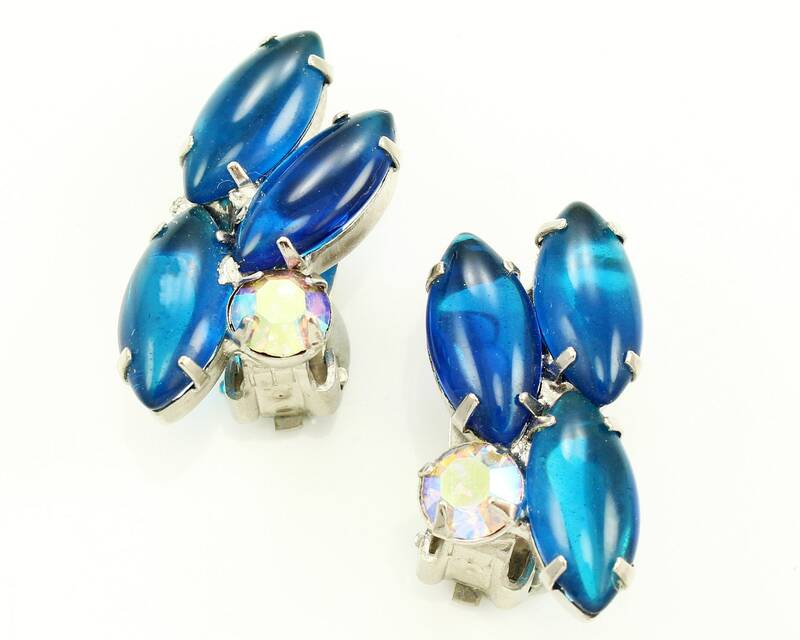 Clip on earrings measure 1" long by 5/8" wide.